Description The vision statement of Mission: Graduate is to create a world-class, seamless, and coordinated education system that provides equitable opportunities for all children and youth to excel and succeed in school, graduate with a post-secondary certificate or degree, and enter a career of their choosing in central New Mexico. One of Mission: Graduate’s strategies is to improve Workforce Alignment and strengthen partnerships between education and employers. Come hear Angelo J. Gonzales, Executive Director of Mission: Graduate, share how this cradle-to-career education community partnership in Central New Mexico is committed to producing 60,000 new graduates with college degrees and certificates by 2020. Find out how this growing cross-sector movement with 269 individual partners representing 100 different organizations, has the goal of developing the next generation of skilled workers, engaged citizens, and leaders. 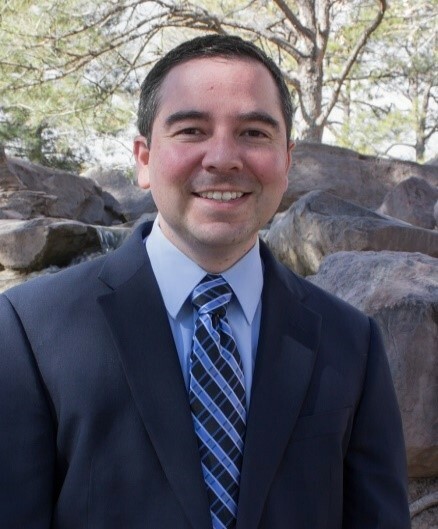 BIO Angelo J. Gonzales is the founding Executive Director of Mission: Graduate, a cradle-to-career education partnership in Central New Mexico, which is committed to producing 60,000 new graduates with college degrees and certificates by 2020. Dr. Gonzales is also a Research Assistant Professor and Associate Director of the University of New Mexico (UNM) Center for Education Policy Research. Previously, Dr. Gonzales worked for U.S. Senator Jeff Bingaman for over six years, where he served as a Legislative Assistant in the senator’s Washington office and a Field Representative in the senator’s Albuquerque office. Dr. Gonzales earned his Ph.D. and M.A. in political science from the University of California at Berkeley, and he holds a B.A. in chemistry from Pomona College. His community activities include serving as a member and past board chair of the New Mexico Learning Alliance; member of the Albuquerque Hispano Chamber of Commerce Education Committee; member of the City Alive Leadership Team; member of the United Way of Central New Mexico’s Hispano Philanthropic Society; and a mentor in the Big Brothers Big Sisters mentor2.0 program at South Valley Academy.